Categories: Smiles | Tags: encouragement, goals, new year's resolutions, proust, quotation, quote of the day | Permalink. Categories: Smiles | Tags: encouragement, goals, longfellow, new years resolution, quote of the day, wisdom | Permalink. A sneak peak at the next Make It! Challenge. What is it? Last year was an amazing first year for Squirrel Picnic, and I have you all to thank. I hope that I can continue to provide fun and interesting patterns for you and that the gang will have plenty of adventures to go on. To be honest, though, 2013 was draining on both my bank account and my personal life. I fell in love hard with Squirrel Picnic, much to my husband’s chagrin. Every moment that I wasn’t at my full-time job, I was working on the blog. I’ve learned that there’s nothing wrong with being passionate about the activities you love, but time spent with friends and family is very important too. So my big goal for 2014 is to create more balance in my life. That being said, you know me. 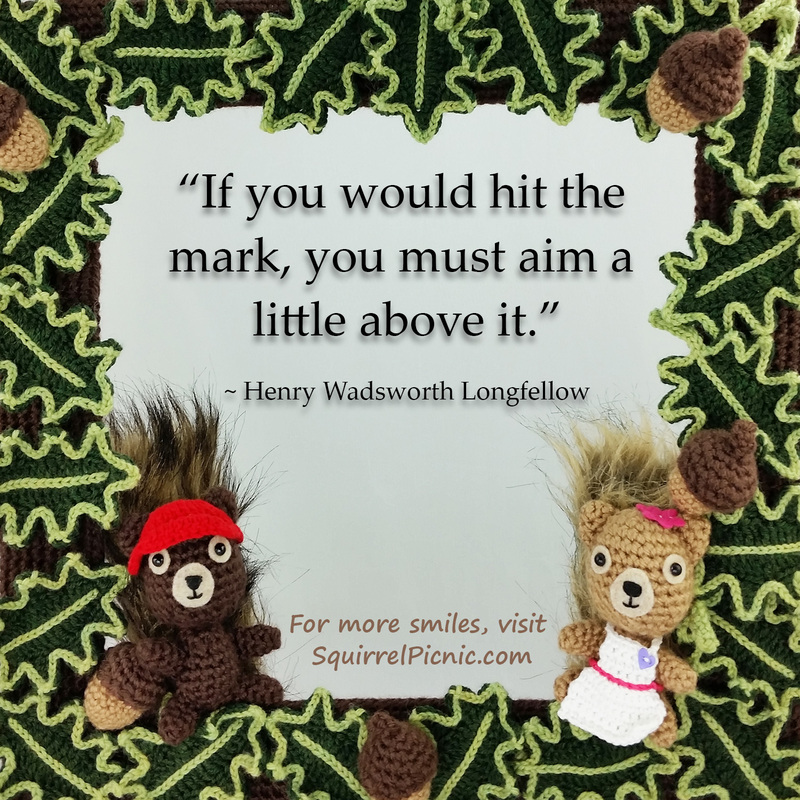 I’ve already got big plans in the works for Squirrel Picnic… I just might have to work on them under the cover of night (don’t tell my husband). So in addition to that big one I already mentioned, here are my goals for 2014. Tackle five Make It! Challenges. Congratulations to this year’s recipients: Shelby, Daniel, Becky, Brooke, and Diana! Publish more Squirrel Picnic comics: oh, the adventures we have in store! Publish free crochet patterns for each of the fatimals: starting with Mayor Snack Frog in the next month or so. 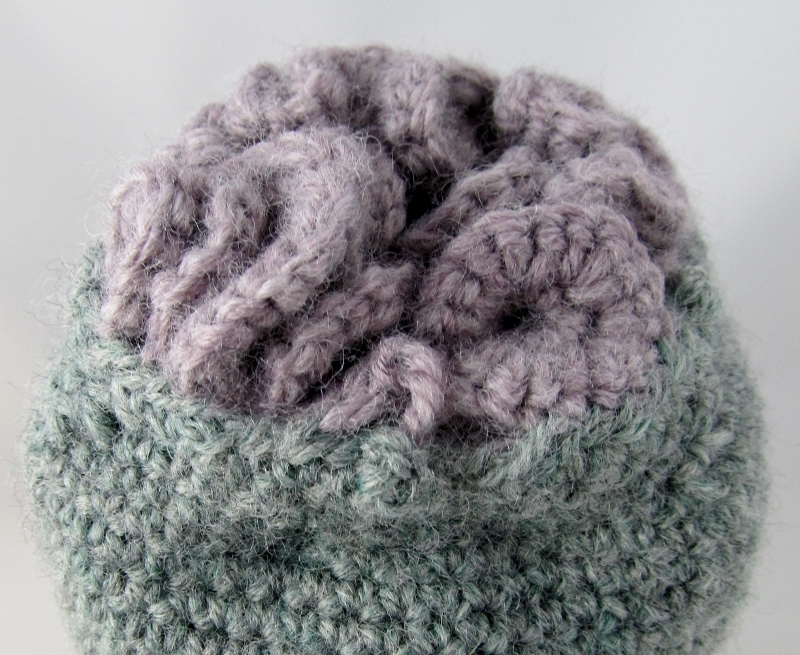 Join the Counterfeit Crochet project: this looks like so much fun! Learn more knitting techniques with the intent of eventually offering more free knitting patterns here. Publish stories featuring your handiwork! 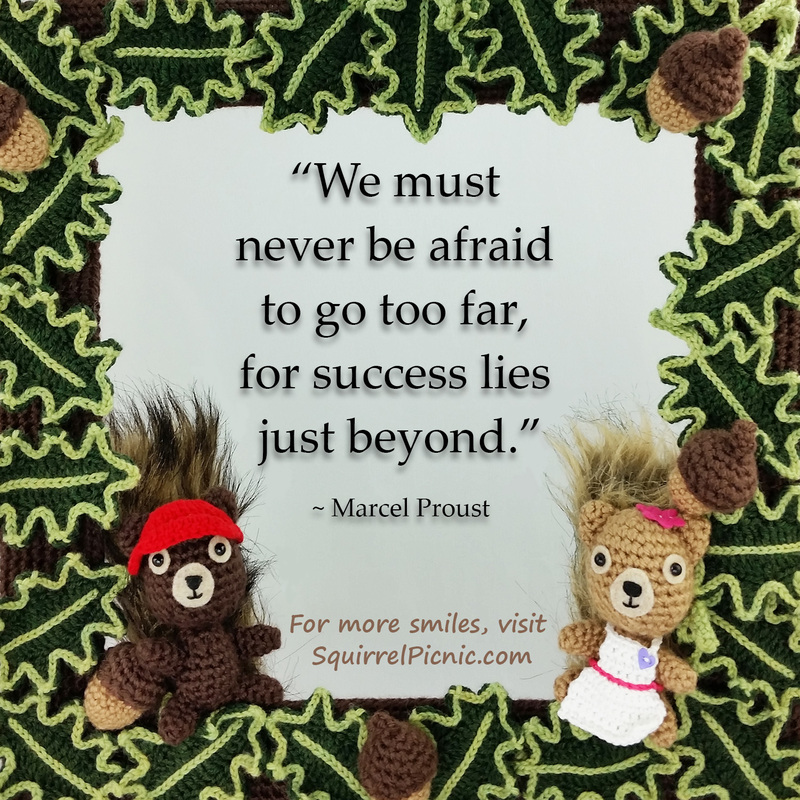 If you’ve crocheted a Squirrel Picnic character using one of my patterns, I’d love to feature it on the blog. For more information, see the submissions section of my About page. Recuperate some of the costs of maintaining this blog. I spent way too much money on yarn last year… you don’t even know. So I’ve been pondering the financial aspect of blogging lately. I’ve decided not to sell ad space just yet, not until I can have complete control over what companies and products are advertized. (I know you don’t want to see that stupid belly fat ad here, and I won’t let that happen.) But I still need to make enough to support my blogging habit, so the plan is to stock my Etsy shop with squirrelly stuff and try to get some of my patterns published in magazines. I’m not expecting much, but it’s worth a try. Do you have any ideas? If you’re a blogger, what do you do to support your blog? Show you more of what happens behind the scenes: how I put together the comics, how I create my patterns, and reviews of the fiber arts books and fellow bloggers that have taught and inspired me. Wow! That seems like a lot. I better get started! What are your goals for 2014? 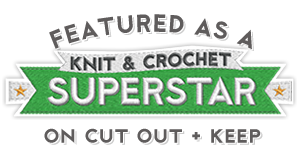 Categories: Crochet It | Tags: 2014, crafts, crochet, diy, goals, knitting, Make It! Challenge | Permalink.